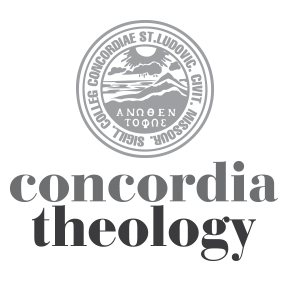 Editor’s Note: The following homiletical help is adapted from Concordia Journal, July 1985. Financial institutions spend no little effort to keep the public informed about the many different kinds of investment opportunities which are regularly available. There are the popular IRA, long-term and short-term CDs at varying interest rates, and this or that kind of tax shelter. The rich and the poor alike do well to examine how they might best manage whatever assets they have. In the kingdom of heaven there are investment opportunities also. When the Lord talked with his disciples privately on the Mount of Olives (Mt 24:3) to inform them about his second coming, he also spoke about kingdom investments in the Parable of the Talents (Mt 25:14–30). Before he ascended into heaven, Jesus told his disciples to wait in Jerusalem until the Holy Spirit would come upon them. After that miracle they were to be his “witnesses . . . in Jerusalem, and in all Judaea and Samaria, and to the end of the earth” (Acts 1:8). The Lord is like the man in the parable. He has gone into a far country and has left servants behind to use the gifts that he has given. The Lord’s work, of course, is that which pertains to the kingdom of heaven, for God our Savior “desires all men to be saved and to come to the knowledge of the truth” (1 Tm 2:4). Salvation has been accomplished in Jesus Christ. The Lord’s followers are to announce this good news to the whole world. The Word and Sacraments are the Lord’s means by which people are brought into the kingdom of God, but the same Lord who has provided those means has also chosen to use people to proclaim the message throughout the world. That task requires gifts and abilities, money and energy. With the Parable of the Talents, Jesus meant to impress upon his followers that he has equipped us with the material and personal resources that are needed to carry out kingdom work. The capital has been supplied, as it were, and the Lord has given us opportunities to invest that capital of gifts. The man in the parable distributed talents with a great deal of wisdom. He gave each servant according to that servant’s ability (v. 15). The Lord asks us to manage no more than he knows we can handle. Something has been given to each one to invest. Our lives are not our own. They belong to him who bought us. Our talents are not our own. They have been given to us. Although the Lord does not by any means deprive us of the privilege of using his gifts for personal purposes, at the same time he wants us to know that his gifts are capital for kingdom investment. We are to invest for him. Investment in kingdom work is not futile. The men who had received five and two talents proceeded to trade with the money which had been given to them. Each had a high degree of success, for each doubled the capital which the master had given (vv. 16-17). The success of these men reminds us of the Word of the Lord in Isaiah 55:11: “My word . . . shall not return to me void, but it shall accomplish what I please, and it shall prosper in the thing for which I sent it.” In the kingdom of God success is not only possible, it is guaranteed. What an encouragement for anyone to spend himself and his resources! Often we invest time, money, and energy without the least assurance that our labors will have any success. It is not that way with kingdom investments. The blessing of the Lord rests upon our faithful labors. He wills that his purposes be carried out through the use of the talents which he has given. A special bonus might also be attached to the talent investments which we make in the Lord’s service. For the two faithful servants in the parable, such a bonus came at the time of the accounting. They were able to see the extent of their success, and their animated “Look, five/two other talents I have gained” (see the ΐδε and the word order in the Greek text, vv. 20, 22) suggests that they had found their work exciting. Such bonuses still come when we invest our talents in his service. The work of the kingdom is not drudgery because it deals not just with things temporal but with things eternal. It is rewarding to trade in valuable commodities. What reward and excitement, then, to be able to employ one’s talents in the enterprises of the eternal God. Since our talents are gifts from God (vv. 14–15), we are not at all surprised that there should be accountability for that which we have received. For the third servant in the parable, this became a tragic event, for he had been wicked and lazy. He failed to exercise even a minimum of good judgment by neglecting to deposit his one talent for interest with a banker. He tried to excuse his sloth and negligence by alleging that the master was a harsh despot, an unfounded allegation in view of the generosity of him who had distributed his goods (a talent was not an insignificant amount of coinage). The fact of the matter is that the third servant didn’t want to work for his master. He was satisfied to be considered a part of the household but was willing to leave the doing to others. His relationship falls into the theological category of faith without works (Jas 2:17–26). He was a hypocrite and enemy of his master and for that reason was cast out. Investment opportunities had also been available to him, but he had failed to seize them. His tragic end stands as a warning to all who refuse to let their faith come into a life of action. For those who have been faithful there is joy at the day of reckoning. Even as the talents of the two dutiful servants had been gifts of grace, so their Lord’s final acknowledgement exceeded all expectations. They were placed in charge of many things. What had they done? The capital had been given to them and the growth on the investment hadn’t been of their doing, for investors have very little control over the gains on their investments. A wise and faithful use of talents, however, does please the Lord. That was the commendable activity of their faith-life which received praise at the accounting. A day of reckoning is a reminder that we have never been perfect in taking advantage of the investment opportunities of service in the kingdom of our Lord. For our failings, we must seek pardon in Christ. In his forgiveness, however, we also receive power which enables us to be better investors of our God-given talents in the future.